Measuring angles and distances for outdoor survival (Blog No. 21). 1. Frontal measurement of angular separation at eyes level (Basic posture). User can also have those index and middle fingers pointing in any direction from 1 to 7 o’clock to measure any non-vertical angular separation. 2. Conversion of the angle into fractions of radian or mil. Figure 1: The two outer edges of the measuring fingers form the marks at 0, 5 and 10 on a scale of 0 to 10 for measuring angular separations; the scale is oriented horizontally in this illustration. 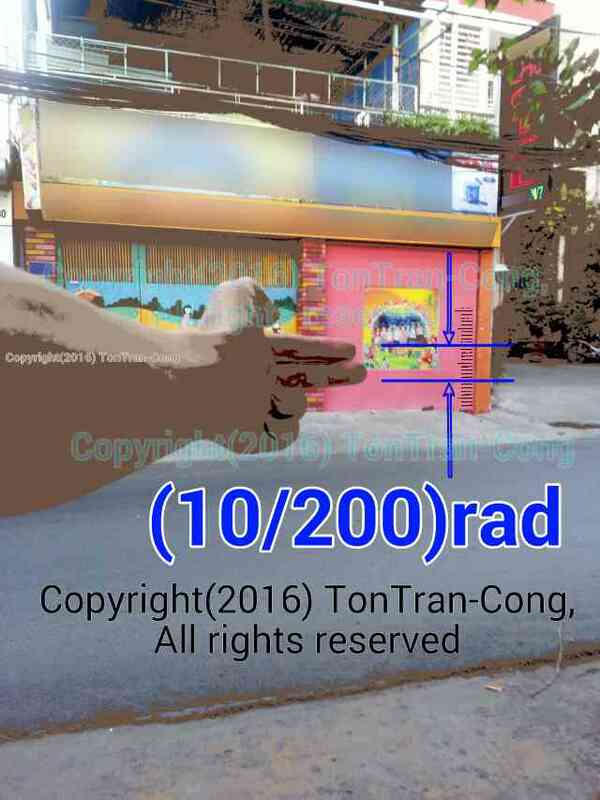 The fraction of (10/200)rad in this illustration is only for an angle of 3 degrees, the denominator will be different from 200 when the angle is not 3 degree. 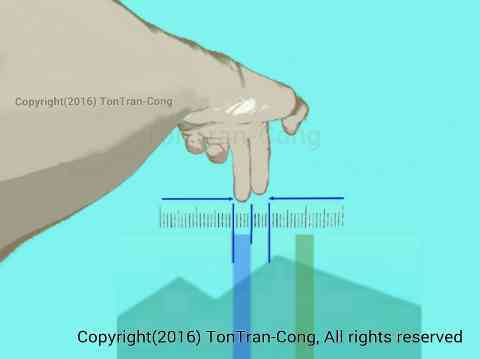 Figure 2: The two outer edges of the measuring fingers form the marks at 0, 5 and 10 on a scale of 0 to 10 for measuring angular separations; the scale is oriented vertically in this illustration. 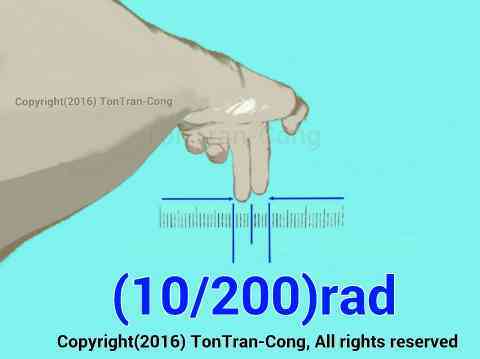 The fraction of (10/200)rad in this illustration is only for an angle of 3 degrees between the two outer edges of the two fingers, the denominator will be different from 200 when that angle between the two outer edges is different from 3 degrees. 3. Measurement over the shoulder. 4. Measurement at 45 degrees to your shoulder line. 5. Units for angle measurement. Figure: A full circle is designated to be 360 degree. This is given on most compasses. Note: The mils on Chinese compasses are NOT US mils; 6400 US mils are equal to 6000 Chinese mils. 6. Application 1- Estimating distance to an object of known size on the ground. 7. 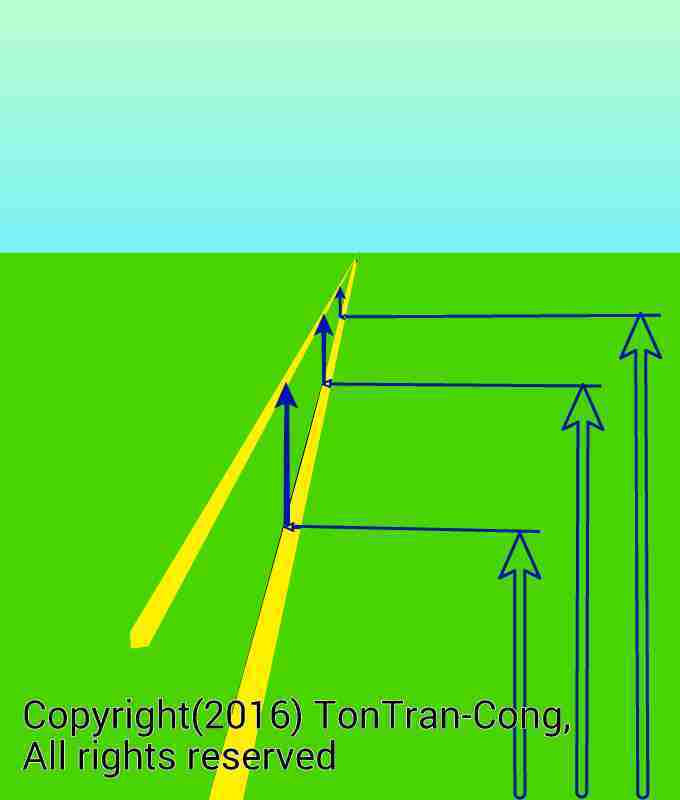 Application 2- Estimating distance to an intersection along a road of constant width. 8. Application 3- Estimating distance to a point along a straight line on the ground. 9. 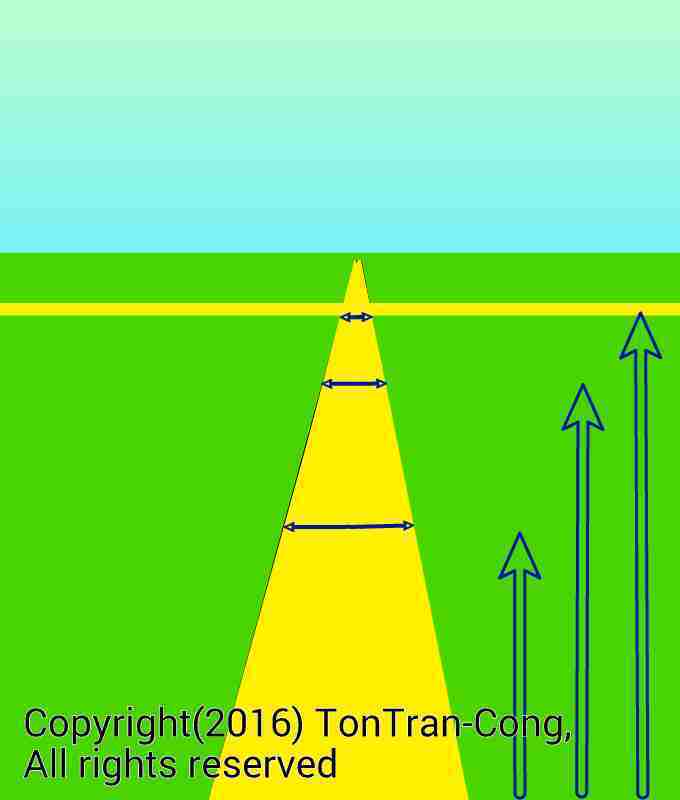 Application 4- Measuring distance to a ground object by traversing horizontally. 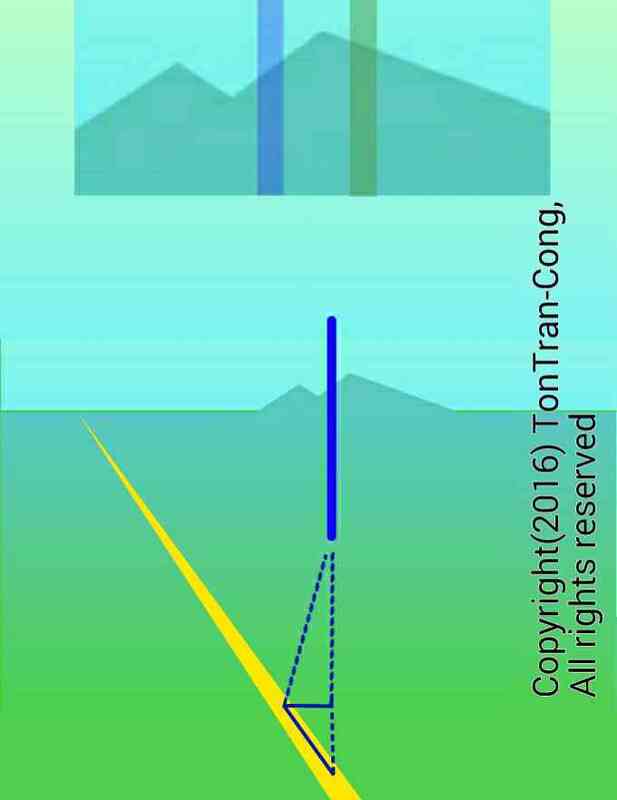 Figure 1: A pole of unknown distance from the observer who is at the short base of the triangle drawn by the dotted line. 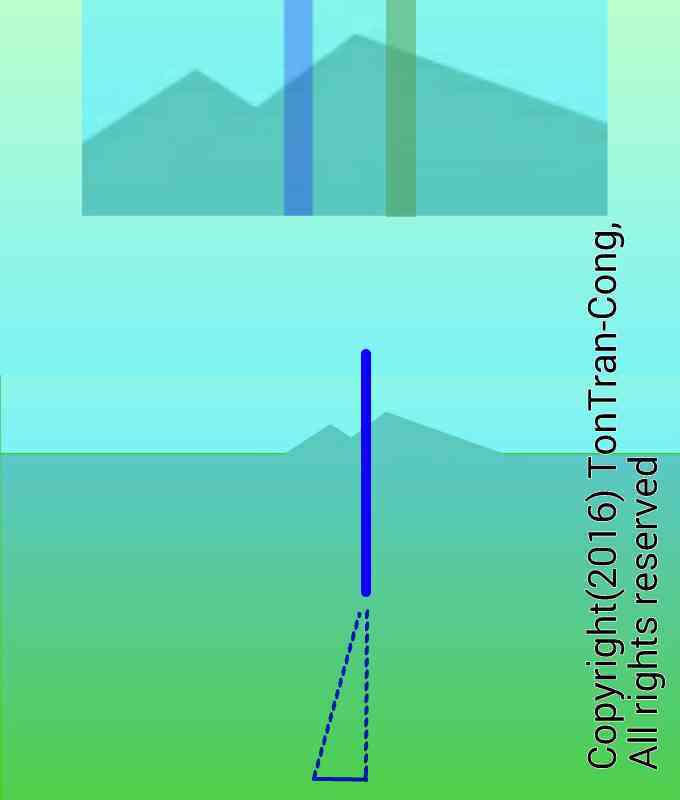 Top inset: The pole seems to move against the distant background when the observer moves at right angle to the line of view. Figure 2: On the scale 0-5-10 formed by the edges of your two measuring finger, the pole seems to move by a value of 17. 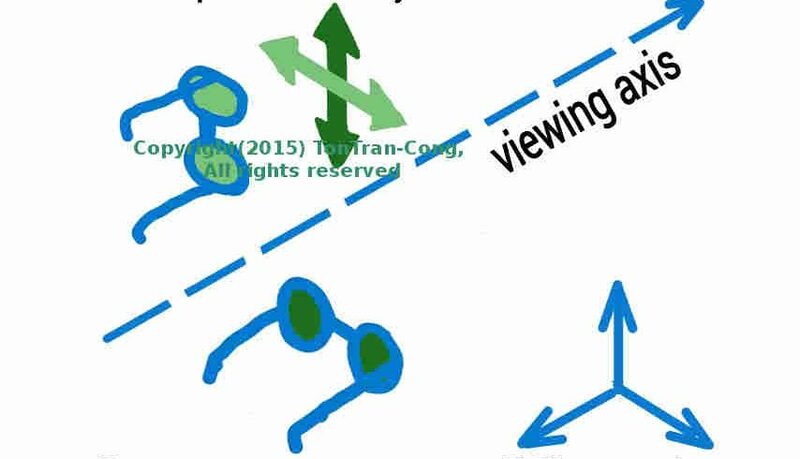 Figure 3: A movement at an oblique angle can be made and the traverse is obtained from the projection of this angle onto the normal to the line of view. The value of 5 degrees was supposed to be obtained by an accurate measuring device and is equal to the angle of the arc. 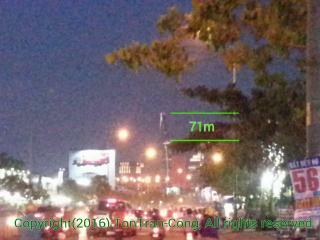 The value of 5 degrees is only an example, you have to use whatever value given by your angle measuring device. 10. 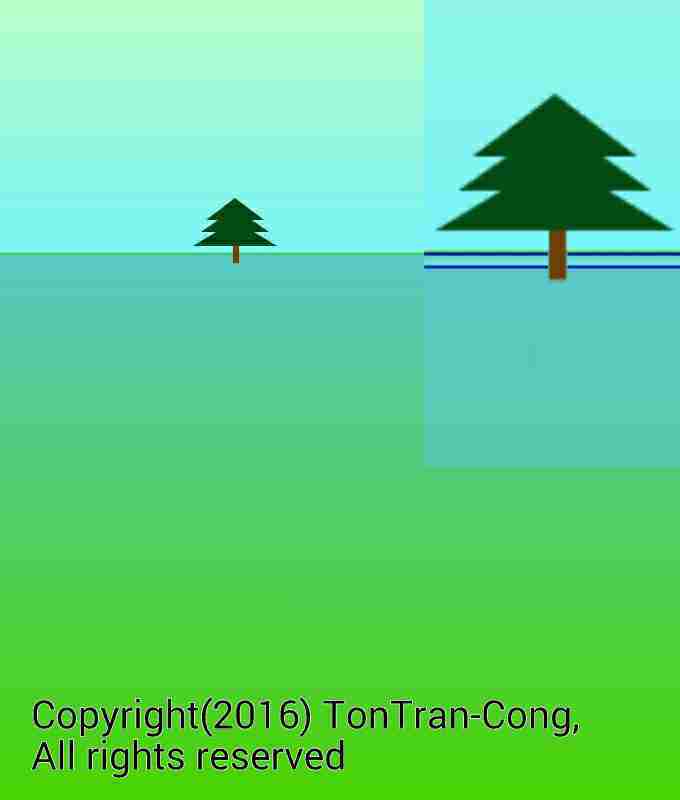 Application 5- Measuring distance to a ground object by traversing vertically. 11. Application 6- Locating your position on a map relative to a tall land mark. 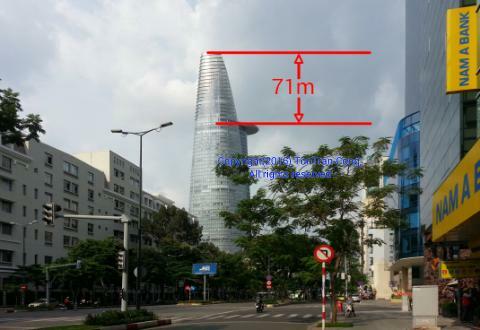 Figure 1: The tall, distinctive building of step 6 is used as a landmark for navigation around the city. 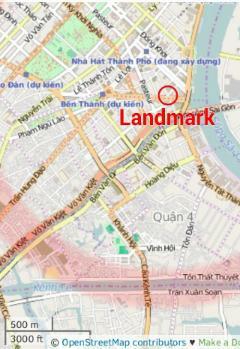 Figure 2: The location of the landmark on a map with distance scales. Notes on the map: The map data are used under Open License from Open Street Map, the data are owned by Open Street Map Contributors. 12. Estimating distance by the speed of sound. At the moment of seeing the cause, such as a firework, an explosion, you should start counting “one thousand and one, one thousand and two, one thousand and three, . .” . Your “one” , “two”, “three” will correspond to 1second, 2seconds, 3seconds after the flashing. The sound will come against the your counting to give the time for the sound to come to you. It gives your distance from the source of the sound. When you are outdoor in the wilderness, it is vital to avoid lightning strikes. Lightning strikes occurs when there is discharge to the ground by electrically highly charged clouds. Highly charged clouds usually discharge among themselves creating lightning flash. At the moment of flashing you should start counting “one thousand and one, one thousand and two, one thousand and three, . . ” to determine your distance to the lightning discharge. There has been warning by a Mountaineering expert that many people got into perilous situation when their compasses unexpectedly flipped direction prior to critical use. The Mountaineering Council of Scotland has issued warning on this danger. This posting gives a method to re-magnetize and set at will the direction of any compass needle. The basic steps in guarding against unexpected flipping of magnetic compasses are also shown. 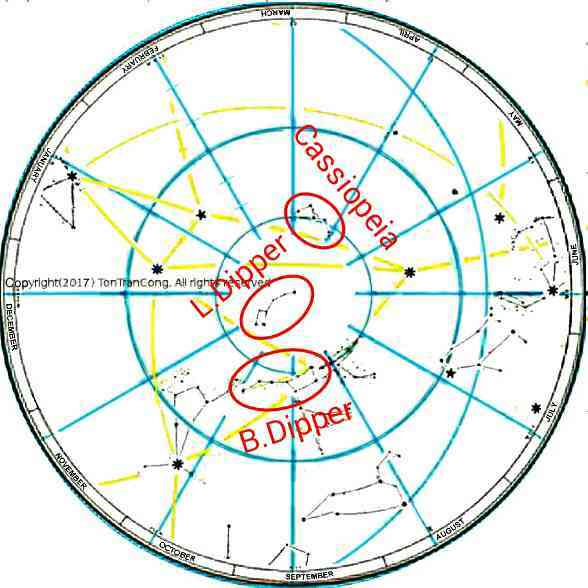 One possible cause of flips by magnetic compasses. When a magnetic compass is stored its needle can not swing or cannot swing fast enough to follow the change in magnetic field. If a strong magnetic field is forced through the needle from one end to the other, the needle will be magnetized by this strong field. Therefore when your compass is stored in your bag and a strong magnet approaches it faster than the needle can rotate to adapt to change, the new field may be able to force a magnetic flux from one end of the needle to the other end and re-magnetize the needle. This occurrence is not rare. The first pictures shows that the needle of the clear based compass is pointing in the opposite direction to that given by the reference, metal cased compass. The needle has been magnetized into the flipped condition. Figure: The re-magnetized needle of the compass with clear case. The compass needle was then successfully re-magnetized back into normal condition. It again points in the normal direction. So I have been able to re-magnetize (in any direction of choice) the needle of a compass (the clear based compass with a mirror) as shown in the first two pictures. The magnet I used costs me under $0.30USD and is shown in the third, composite picture. Figure: Tools for Re-magnetizing the needle of any compass. 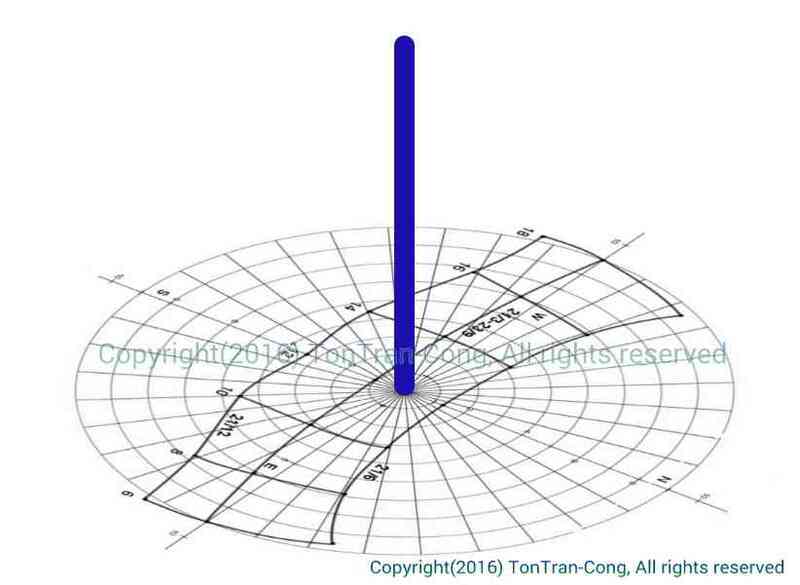 1/- To re-magnetize a compass, it is preferable to have a single pole P of a strong magnet far away from its other poles. Lay the compass up-side-down. Find out the end A of the needle that is repulsed by P. Push that pole P to the center of the needle, then move P towards that end A. When P has reached the end A and attracted that end, the needle has been re-magnetized. It is even better if you can supply another single pole Q of opposite polarity to also touch the other end B of the needle. Otherwise, just use the compass just re-magnetized by the single pole P.
2/- The above re-magnetization shows that it is preferable to have long, observable needles for compasses. 3/- If you carry any strong magnets make sure that they are closed by closing irons to keep their magnetic lines within the vicinity of the magnets and the lines do not affect your compass. The magnet I used is a fridge magnet of the rare earth type, it costs under $0.30 USD. Avoidance and detection of flipping of a magnetic compass. 3/- check the pitching of the needle and make a written record. 3/- check the pitching of the needle and compare against the written record made on acquisition. 4/- have the polarities of the strong magnets on your phone case marked on a sketch (showing which magnets attract which ends of the needle). A copy of the sketch should be carried with the compass. 3/- slightly and slowly move the compass towards the phone case to see if the attraction pattern is still the same. 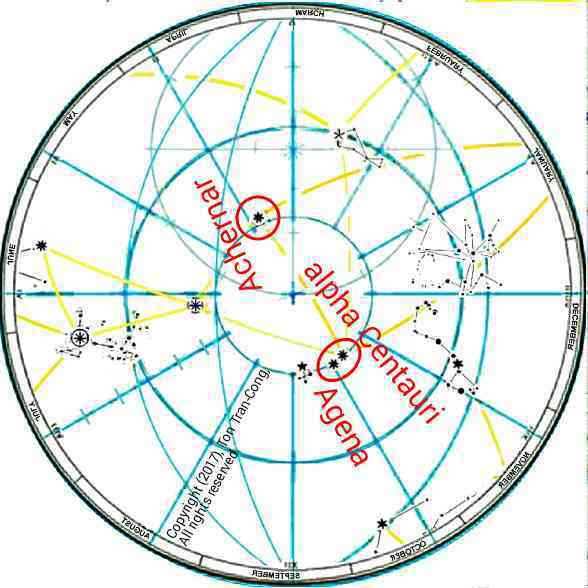 4/- If the vibration patterns are noticeably different the compass may have been damaged or may be in a stronger or weaker than normal (abnormal) magnetic field. You need to think about possible causes and effects. 5/- The above steps only help to detect any unexpected flipping, you still has to carry out all other procedures recommended by the maker of the compass. Your compass usage should be more reliable with these extra precautionary steps.
. Heather Morning, Calling ALL Hill Walkers,The Mountaineering Council of Scotland, http://www.mcofs.org.uk/navigation-reversed-polarity.asp, posted on April 2013.